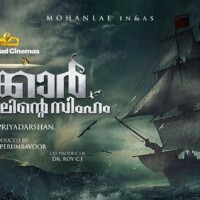 Mohanlal – Priyadarshan team join again for the movie “Marakkar – Arabikadalinte Simham”. Movie based on the true story of “Kunjali Marakkar”, he was the naval chief of ‘Samuthiri’ king of Calicut. Film produced by Antony Perumbavoor , Santhosh T. Kuruvilla and C.J. Roy under Ashirvad Cinemas. It will be a big budget film around 100 crores.